Fajitas are a type of Tex-Mex cuisine that consists of sautéed peppers and onions served with strips of grilled meat. This dish is often sold sizzling hot in a cast iron skillet with warmed corn tortillas and fresh pico de gallo. Thanks to Fiesta Brand spices, you don’t have to cross the border to enjoy delicious fajitas with authentic flavor. 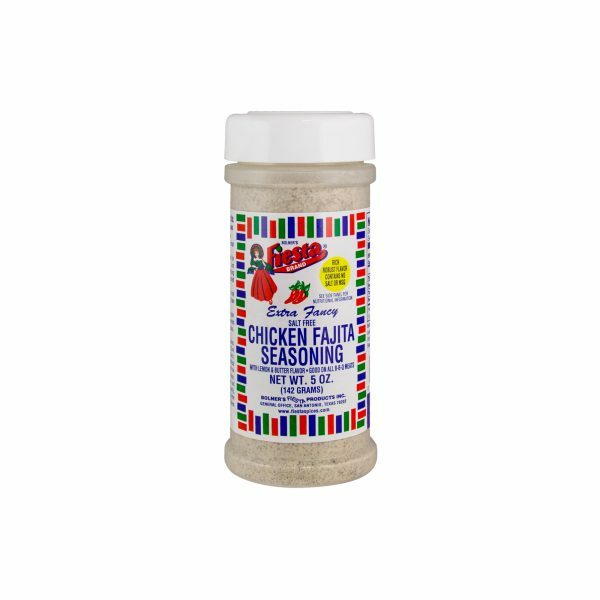 If you are looking for a simple way to make your homemade fajitas taste a little more like the ones you get at your favorite Mexican restaurant, try this Salt-Free Fajita Seasoning. 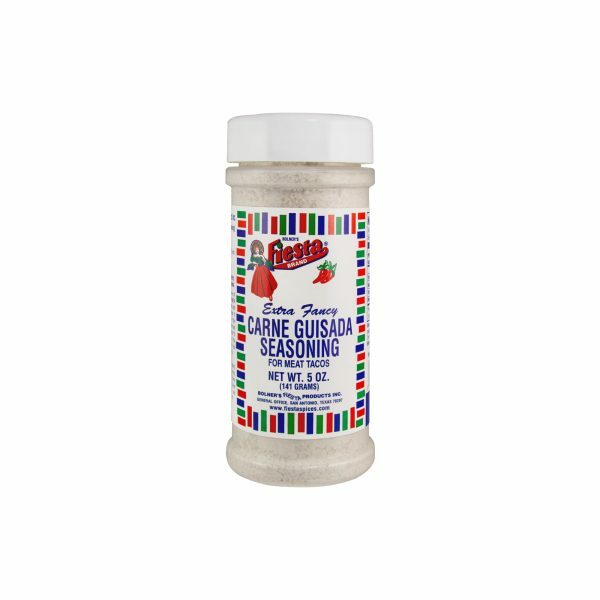 Simple sprinkle it on flank steak or chicken and let it rest 30 minutes before searing over an open flame. 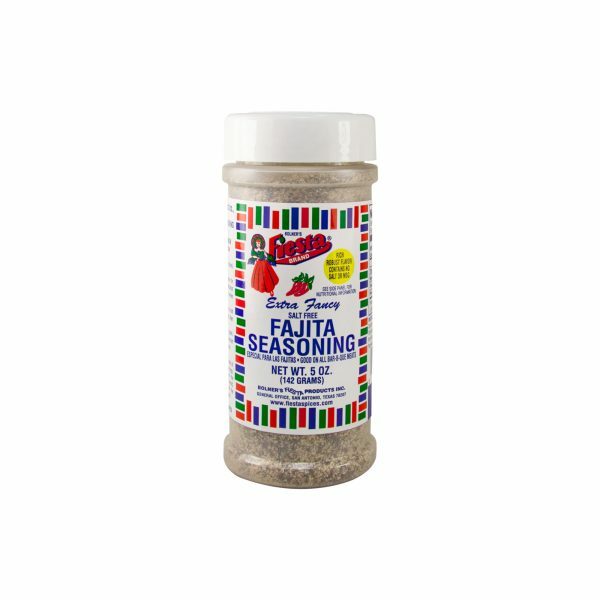 Use the seasoning to flavor your fajita vegetables as well and you will have an authentic-tasting Mexican inspired meal! Spices, Garlic, Onion, Calcium Stearate (Free-Flow Agent) and Tenderizer (Proteolytic Enzyme derived from Aspergillus Flavus Oryaze and from Papaya).